Are you looking to brighten up your home or office space? Landscape lighting offers a wealth of various options and designs to accent the important features of your residence or commercial property during the evening. Whether you have an outdoor patio or a magnificent oak tree in your front yard, professional lighting design and installation allows you to show off your landscape, while adding the benefit of secure, well-lit spaces to your property. In today’s post, we’d like to give you 5 different options for landscape lighting that you may not know of. 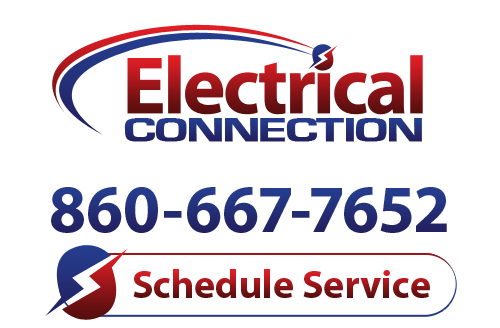 Call Electrical Connection today for a wide range of services, including electrical repair in Hartford. Spot lighting: This is one of the most common ways you can highlight a flagpole, architectural detail, or tree. When focused beam of light is positioned overhead, it reduces the possibility of glare and allows for an uninhibited illumination of the object. Shadowing: If you’re looking for a way to highlight the interesting silhouette or shape of an object, consider placing a light fixture directly in front of a tree or other object in order to cast a shadow on your home or the vertical wall of your office building. The closer you position the light, the larger the shadow. This also adds a security function. Moon lighting: This is ideal in trees. You can conceal one or more light fixtures at certain positions within the tree itself to create a subtle, filtered light that highlights the natural beauty of the tree and gives a soft source of light to a landscape. Walkway lighting: Tired of stepping on tulips as you make your way to the front door? Walkway lighting adds functionality to the aesthetic and is necessary if you have dark walkway in your outdoor space. These types of fixtures can be fully or partially shielded, depending upon where they are installed. Spread lighting: Flowers, shrubs, and other objects that are close to the ground benefit from even spread lighting. These types of fixtures can also be used underwater to illuminate a pond or fountain. We hope you found this brief guide to landscape lighting helpful. If you’re in need of comprehensive Harford electrical repair or any other services, call Electrical Connection today!